As it is feeling more and more like winter in London, we find ourselves going to either seasonal books (a selection of which I am working on) or really colourful ones. So to brighten up your Monday I’ve decided to review a colourful trio of books to be read with your loved ones. 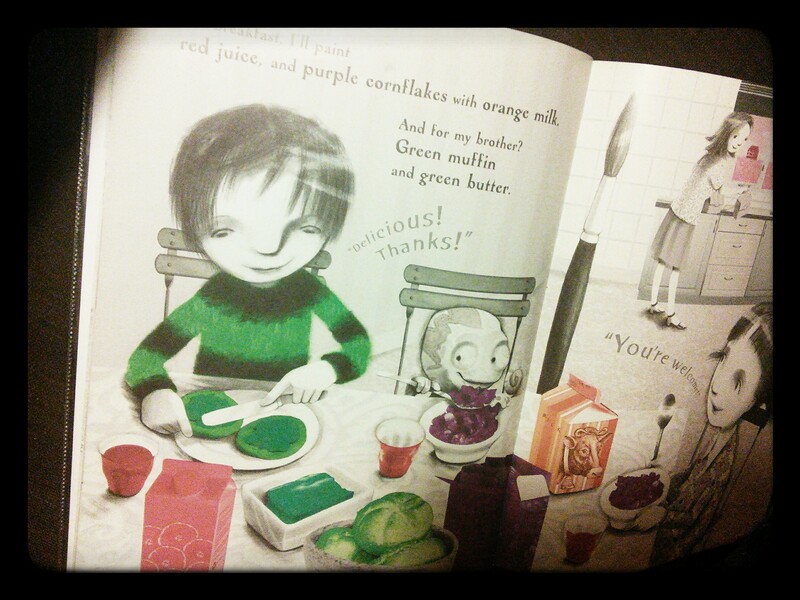 Tom Hopgood is a favourite in our house, and since I’ve recently bought a bunch of books for the kids’ school including the first we enjoyed as a family, I thought it would be nice to tell you about it before we give it away. Wow! 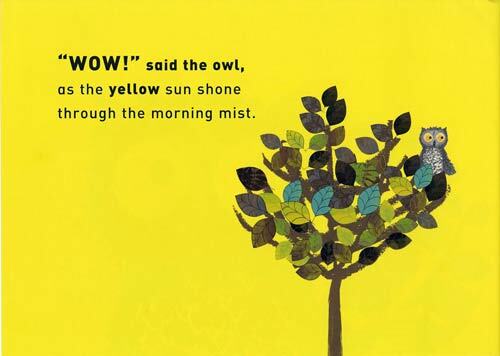 Said the Owl is a perfect book for babies and toddlers, but it also works with early readers who are keen to try reading bits of text since the font is clear and very kid-friendly. When we are feeling tired and ready to go to bed, owls are just waking up, like the one in Hopgood’s book. But this little owl is very curious and therefore decides to take a long nap and stay awake until dawn. She can’t believe her eyes when she sees the wonderful yellow sun, the white fluffy clouds floating across the bright blue sky, and the pretty red butterflies fluttering over some gorgeous orange flowers. One of the last two pages of the book shows a circle of coloured dots and invites the reader to go back and find these on the pages of the book, a fun game my little boy likes to do. 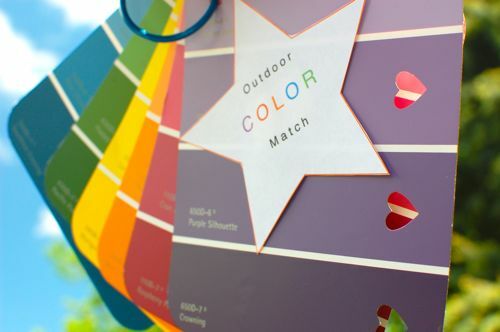 This is a perfect introduction to colour hunting, an activity that we regularly do and that can be adapted to be taken outdoors, as explained in this post by Valerie. All you need is a few paint samples and a perforator (or hole punch) and you’re good to go. 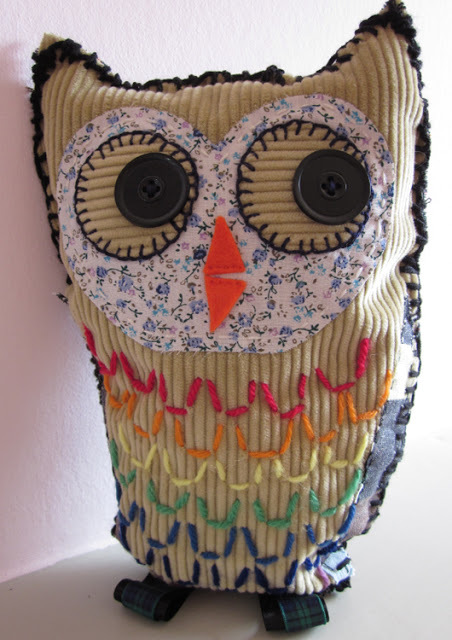 Tim Hopgood’s blogs include lovely photos of school visits as well as tons of ideas to make craft projects, such as this nice little owl that I find adorable. 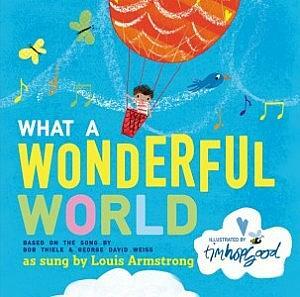 Hopgood’s most recent publication is a joyous interpretation of Louis Amstrong’s What a Wonderful World. A CD naturally comes with the book which includes a recording of Amstrong’s song and a reading of the book. 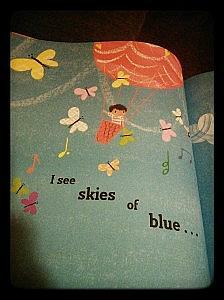 Each page shows the same little boy enjoying the wonders of the world, from blooming red roses to the dark sacred night. Sometimes by himself, sometimes with his friends, the boy walks, flies and even rides a horse while inviting us to slow down and pause to enjoy our wonderful world. We are big fans of audio-books, but this is in a different league altogether from read-aloud recordings. 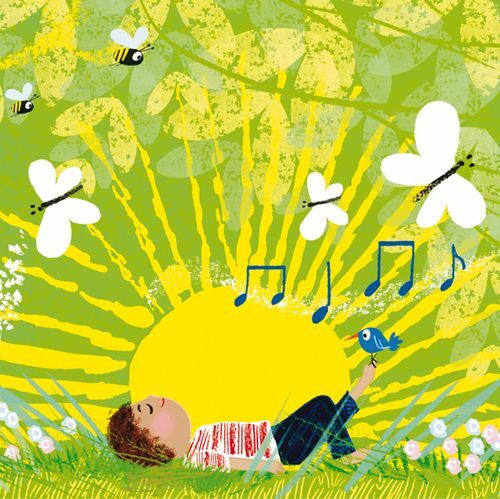 It is not just a great way to get your child to flick through a book by themselves, it is an invitation to think about music and art as complementary means to appeal to our senses. 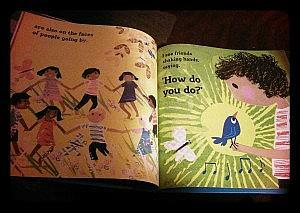 I love Hopgood’s original idea which was “to capture the joy of the song in a picture book” and I must say watching my son chilling out on the sofa and enjoying the book makes me think he has thoroughly succeeded. If you’re unconvinced by the idea of music as both a valuable and enjoyable element, and if you wonder why music delights not only our heart but also our brain, watch this fun little video. NB: This educational clip mentions drugs so do not watch it with your little one unless you want to have a conversation about this particular topic. Last but not least is Sarah Massini‘s If I Could Paint the World. In this funny story a little girl and her chameleon find a magic paintbrush which lets them paint the world. 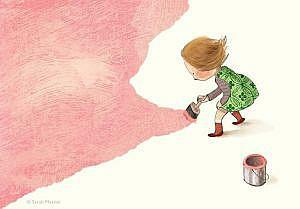 I wish she did not start by turning the world all pink (but this is me, my son did not object at all as he loves pink and yellow). After that things start to take a different and fun turn. 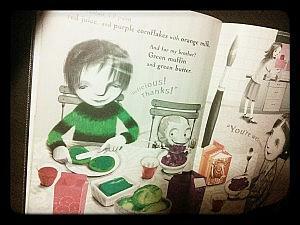 For breakfast, she paints red juice, and purple cornflakes with orange milk, and brushes her teeth with black toothpaste. Once at school, she makes a few changes to the stories she reads and these crack my kids up. Meet little Little Lilac Riding Hood, and Pea Green and the seven dwarves! 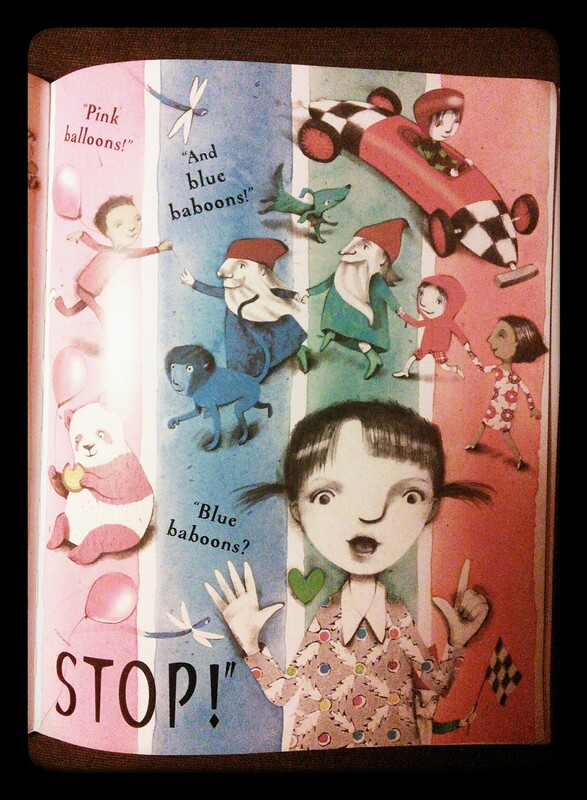 But there is a limit to craziness and after yellow tarts and blue baboons, the little girl declares: Stop! 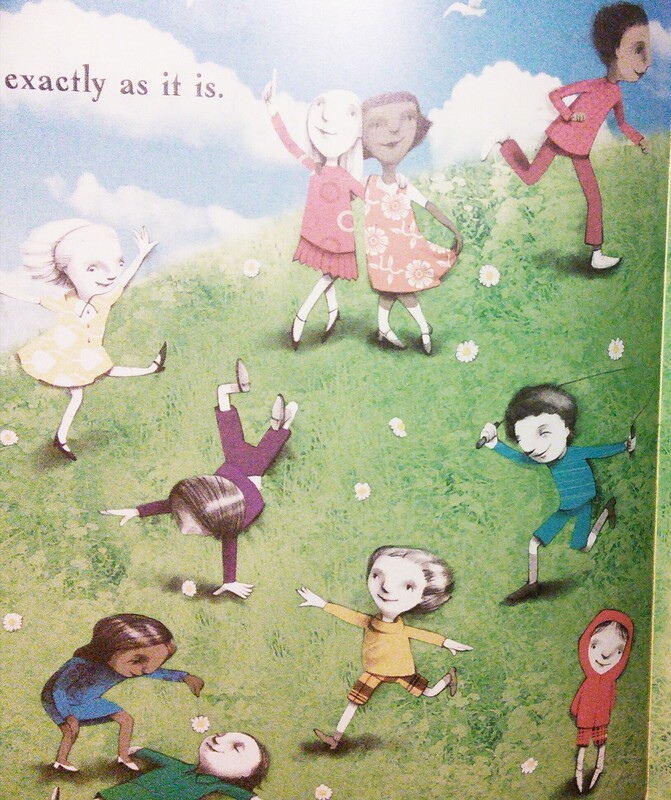 The reason she gives is the best of all: “when you really think about it, the world is perfect, exactly as it is”. 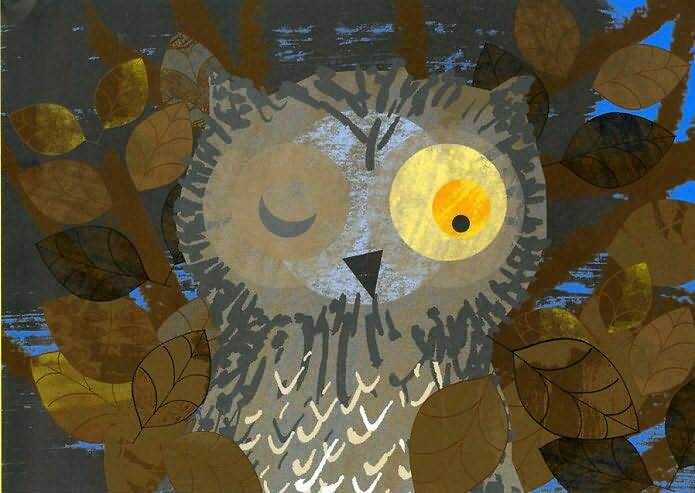 In this story, mischievous changes and cheekiness go hand in hand. My children love the gorgeous illustrations and tried to paint blue bugs, peppermint puppies and purple pigs after reading this book, which shows you how inspiring it really is. 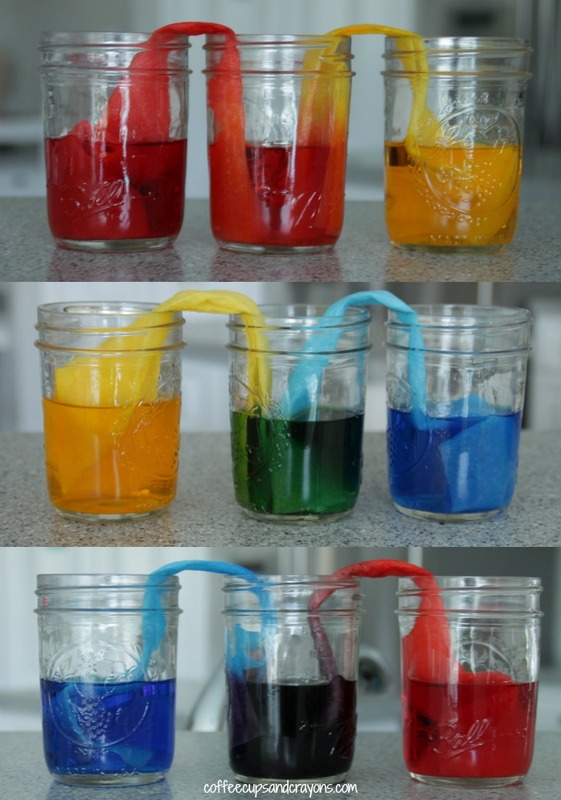 For other ideas and activities involving colours, check this couple of suggestions, or go back to one of my post on diversity, which included several colour-related activities. 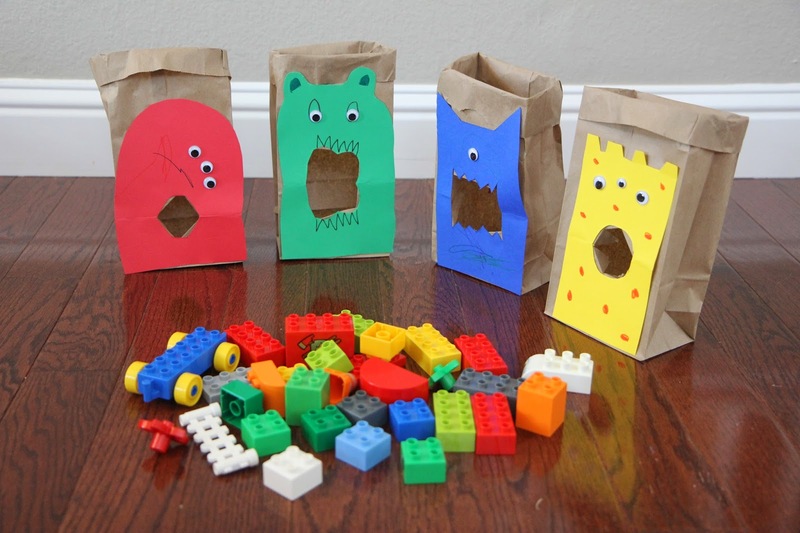 Look at this great lego game here, perfect for toddlers who very often go through a phase of filling in and filling out things. Perfect! 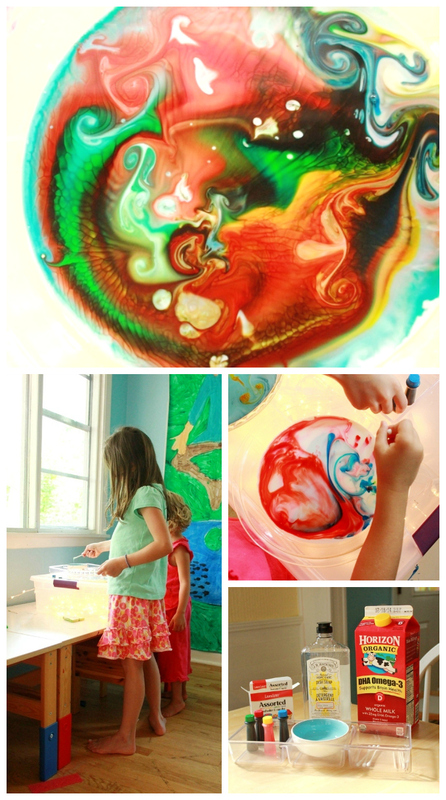 For older ones, and future scientist or artists, here is a brilliant walking water experiment, which teaches children about water, colours and science at the same time, a really wonderful trio, don’t you think? Finally, something that we have done many, many times but that keeps my children excited is the rainbow milk experiment. Check the tutorial and instructions at the Artful Parent, it is easy and worth a try!